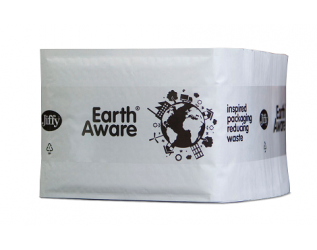 Earth Aware Airkraft Jiffy bags are low cost and kind to the environment. These Jiffy bags are not packaged in an outer cardboard box, allowing up to 50% more product per pallet and also reducing packaging waste. Instead each bundle of 50 postal bags is shrink wrapped to protect the bags from dust and moisture. The reduction in packaging and lower transport costs result in Earth Aware Airkraft Jiffy bags being our lowest priced mailer. Available in 5 sizes, AK0, AK1, AK3, AK4 and AK5.